Ever wander through somewhere, pick up a certain smell and immediately find yourself lost in a sea of memories? You’re not alone. The human brain’s anatomy is designed to link your sense of smell to the parts of your brain linked with memory (Interesting read https://www.psychologytoday.com/blog/brain-babble/201501/smells-ring-bells-how-smell-triggers-memories-and-emotions). For me, the smell of chicken stock immediately reminds me of winter at mom’s house. Mom makes some of the best chicken noodle soup out there and always makes her own chicken stock from scratch. The smell of it bubbling away brings me back to memories of slurping away at soup over dinner or the one time I ate 7 bowls of it in one sitting and instantly cured the bronchitis I had been suffering from. Knowing how to make your own stock will help you waste fewer food scraps, improve the depth of flavor in any dish you’re making, fill you with a sense of self-sufficiency and fill your home with some wonderful smells. This year was our first Easter hosting Easter dinner at our new home. I was definitely excited and wanted to do something unique for dinner. We had just hosted a dinner party for friends where we served up some primo steak so I was shying away from beef and I wanted to do something out of the ham and lamb world. I’ve always been a huge duck fan so I decided to go with a bird, but I wanted to do a savory rendition on a duck recipe. I spent far too long looking through recipes online and in the myriad of cookbooks I own and when it came down to it, I winged it and went with simple. I prepared this duck pretty similarly to a roasted chicken but with a bit more attention to crispy skin and prepping with aromatics, and I have to say it was delicious. The meat was tender and juicy, the skin was crispy and the simple preparation made for a special dinner that I didn’t have to spend hours tending to. I served our duck with roasted vegetables and a fresh pea salad for a beautiful spring dinner. One note, you’ll want to prep the bird the day before you plan to cook it. I hope this meal becomes a special treat for you and yours! Here’s a simple cranberry compote that will compliment your turkey or chicken and make you never want to buy store-bought again! Happy holidays MKHB readers! I hope you and yours had a wonderful time celebrating and relaxing together. We were particularly blessed this year as this was our first holiday season as a married couple and we got to spend the Thanksgiving holiday with two sets of family and Christmas with my mom. We feasted, relaxed, spent time with friends old and new, and did our best to slow it down and enjoy our time together. Take a peek at our gluten-free Thanksgiving dinner; I hope these recipes inspire you for next year or maybe that parts of it will encourage you to invite your friends and family over for a nice dinner and some time together. Just remember, that it’s not what’s on your table that counts but who is sitting around it with you. When you’re searching for a great comfort food on a chilly night, look no further! 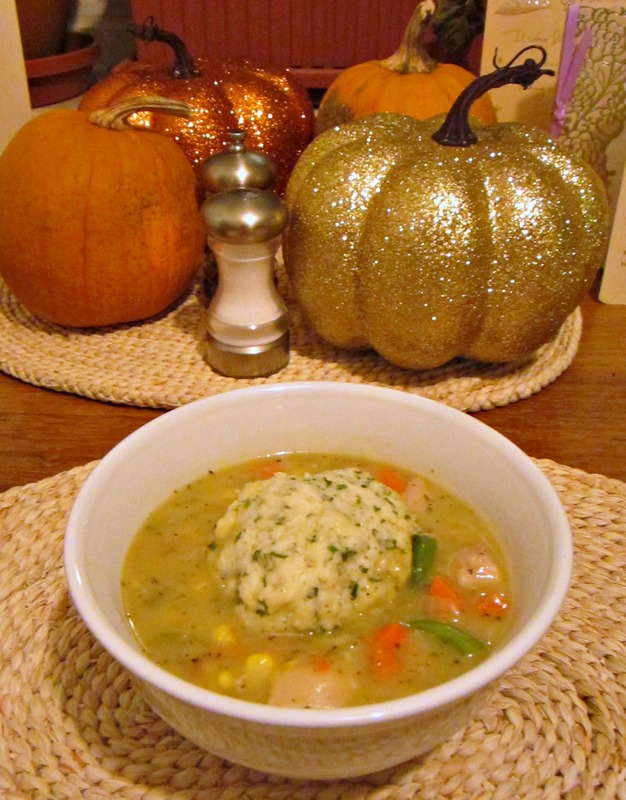 This chicken and dumplings recipe brings together all the flavors you love from chicken pot pie into a lighter stew, topped with a fluffy dumpling! And really, what isn’t better topped with a fluffy dumpling? Well…it happened. The first of the back-to-school colds has made its appearance. Even though we’re not in school anymore, I’m still convinced that we somehow picked it up from some tiny person somewhere. And of course, this couldn’t be worse timing. We have a couple awesome trips coming up, some major deadlines at work and something going on almost every night. Cue the “I-have-to-feel-better-right-now” soup! 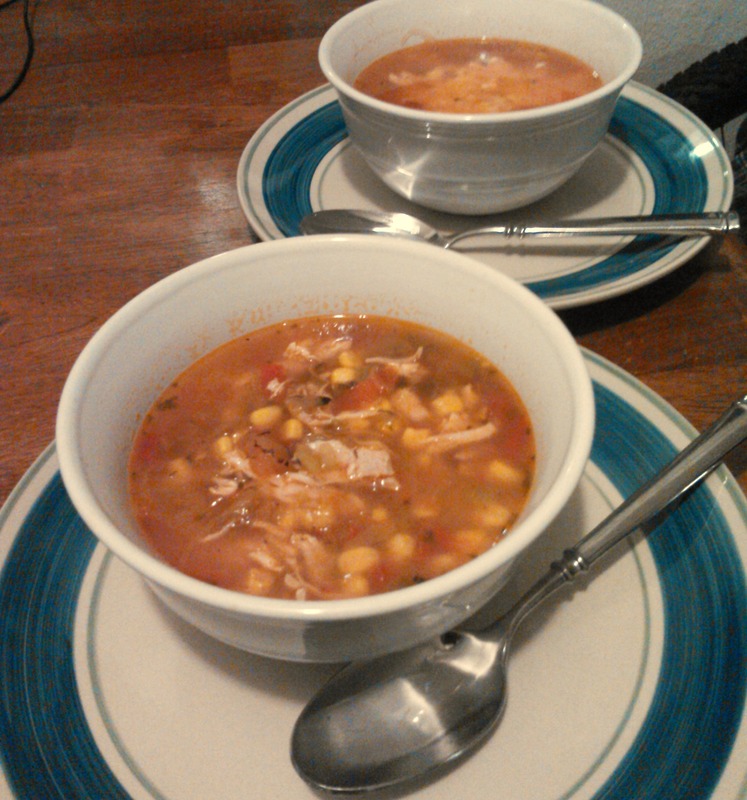 I can’t call this a full-on chili and it’s not a true chicken tortilla soup, but it falls somewhere right in the middle. This soup uses fresh roasted hatch chilies from the farmer’s market and roasted tomatoes to create a gentle heat with some great, southwestern flavor. Consider the roulade. Simply put, a roulade is meat rolled around a filling. On the surface it seems simple, boring even. But fill it with a delicious medley of flavors, cook it gently, give it time to rest and the flavors will explode in your mouth. You’ll taste the saltiness of the prosciutto, the creaminess of the cheese and the aromatic, fresh snap of the sage. This blog has been my roulade. I know, it’s a silly comparison, but bear with me.